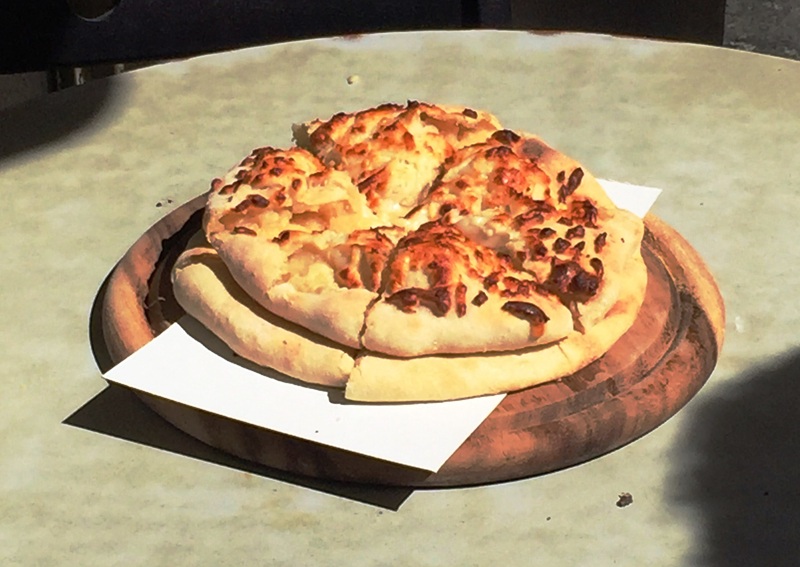 Israel Part Two — Food, Glorious Food! 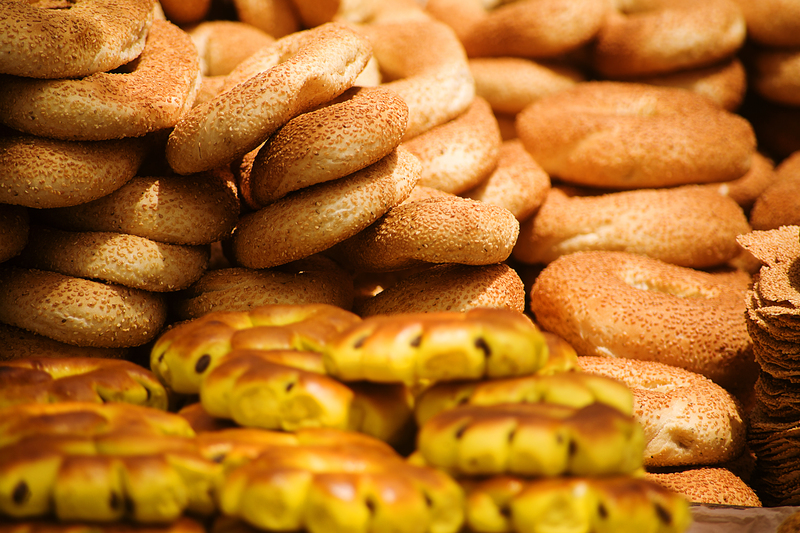 Israel is a food fest of healthy, organic, straight from the farm experience – and completely indulgent! No matter where you go to eat you are first offered an astounding number of appetizers … all just amazingly delicious – one forgets that the main meal has yet to be served. And then the main meal arrives. Meat, chicken and fish are all put on the table – a feast for the eyes and palate. 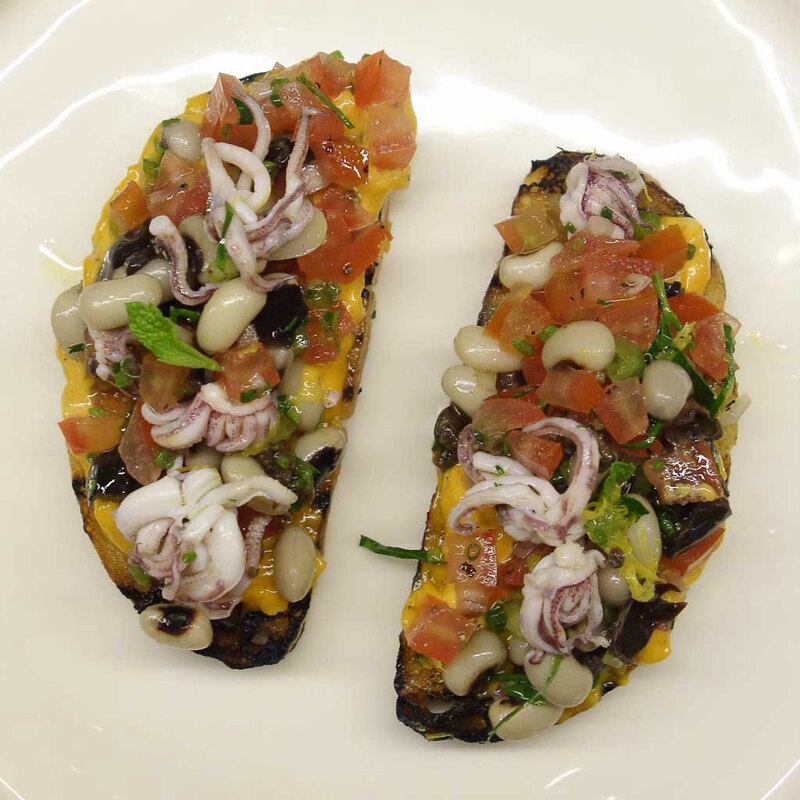 Our first night in Tel Aviv we went to Claro; – the food was abundant and beyond fabulous. Check out their website. When travelling it is especially nice to have a guide offering you direction, education and experience. In Jerusalem we were fortunate to be led by a young, effervescent, blonde, Barbra Streisand look-alike named Toby Abrams. She made everything that much more fun! Such indulgences! Middle Eastern cheese bread! 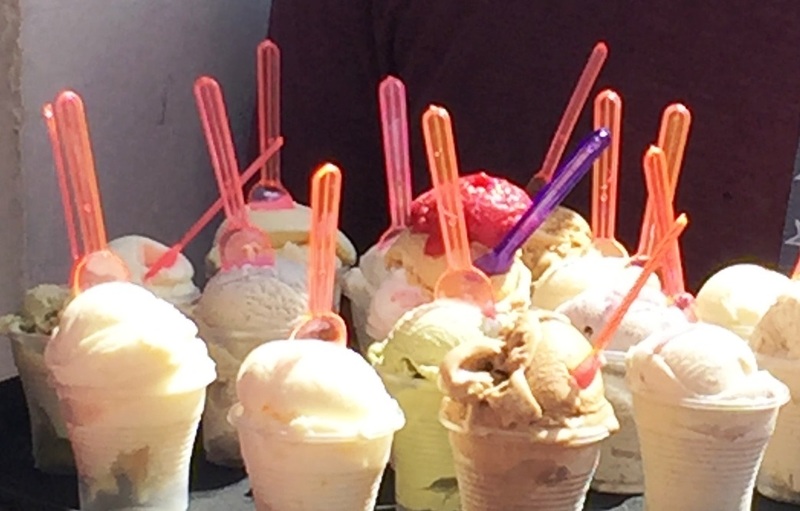 Fresh ice cream! 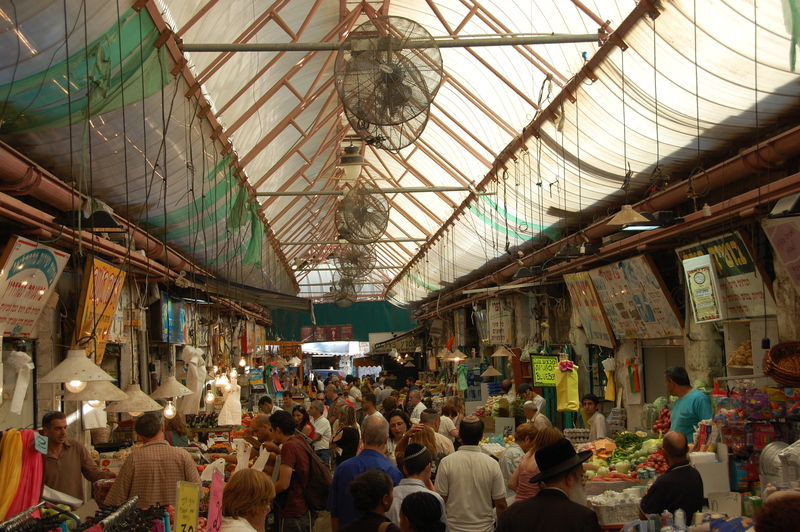 In Tel Aviv you can explore the Sarona Market …. http://saronamarket.co.il/en and in Jerusalem there is the Mahane Yehuda Market. You will find all that your heart desires in fruits, vegetables, spices, sweets! One of my favorite indulgences? Homemade halva – a confection made of ground sesame seeds. I was in dessert heaven exploring all the goodies in Halva Kingdom in the Mahane Yehuda Market in Jerusalem. 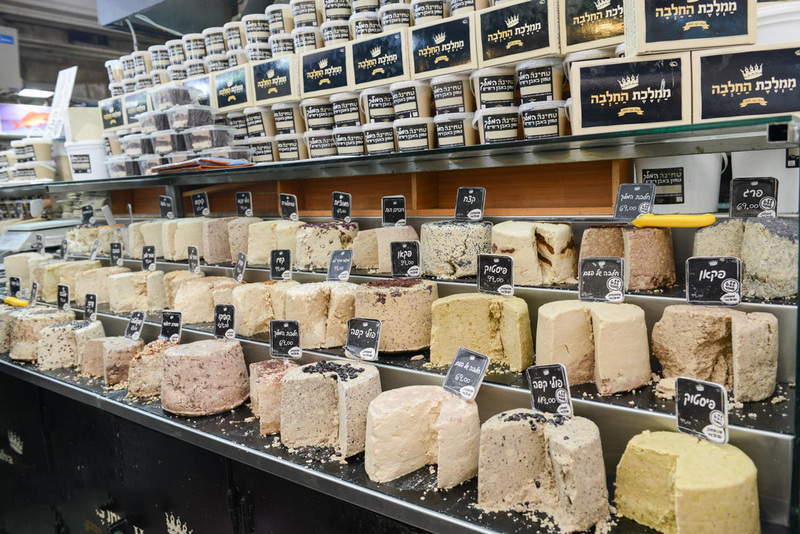 If you like halva, you will love this store, and if you’ve never had halva, head right over — it’s Halva Heaven! Dinner in Jerusalem was a true ‘foodie’ highlight for me — another gastronomical experience – There we ate at The Israeli Culinary Studio http://arcadiarest.com/en/arcadia/ – in Eim Kerim, a suburb of Jerusalem. The view was breathtaking and reminded me of the Hollywood hills with all of the lights sparkling at night. The chef, Ezra Kedem, not only gave us the most divine food possible, but he was so warm and gracious as well. While he was cooking, I asked him about the architecture of his space, as I was besotted by it. He stopped cooking, said “Just a minute,” came back to the kitchen with his phone, and said, “Susan, here’s the architect, in Los Angeles, CA – named Eton Goodman”. http://etangoodmanarchitects.blogspot.co.il/ How nice was that? What a beautiful gesture! If you haven’t already been, I do hope you get the opportunity to visit Israel. It is truly a magical place, overflowing with spiritual, historic and food experiences. Bon Voyage! 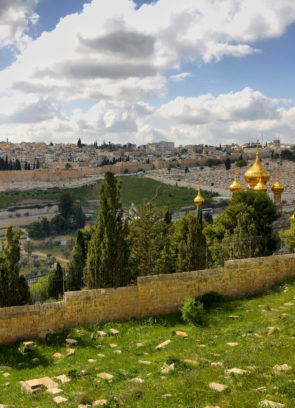 Travel to Israel with me, to the land of milk and honey. Explore its rich religious and historic heritage. It is really an experience of a life-time!